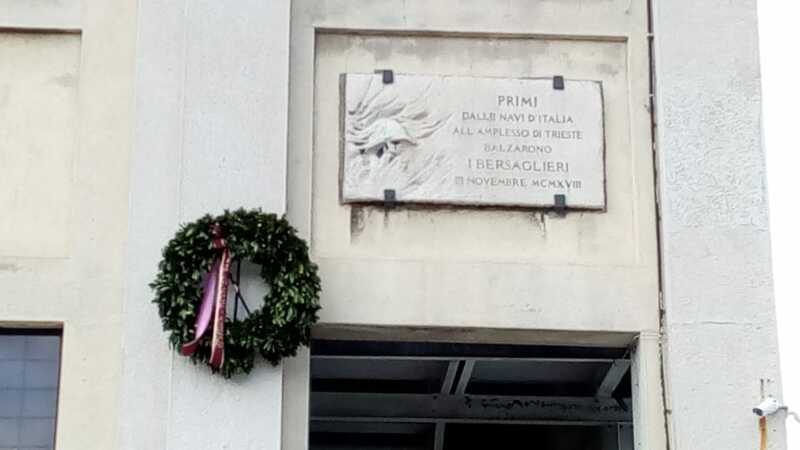 November 3rd is a holiday in Trieste. It is the feast day of San Guisto the patron saint of the city. November 3, is also the date in 1918 when the Bersaglieri landed in Trieste. The arrival of these Italian troops basically marked the end of WWI. Trieste had been part of the Austrian Hungarian Empire from 1382 until 1918, with only short interruptions during the Napoleonic Wars. Trieste was also the major port city for the Hapsburg Dynasty but “to the victors go the spoils” and Italy was rewarded for her alliance with the Triple Entente. When World War I broke out in August, 1914 Italy stayed neutral and began to negotiate with both sides. The Austrians eventually agreed to grant Trentino to Italy in exchange for an alliance, but the Triple Entente (France, Britain, and Russia) made a more generous offer, promising Italy not only Trentino but also South Tirol, Trieste, Gorizia, Istria, and northern Dalmatia. The Italians accepted this offer in the secret Treaty of London (April 1915) and joined the war against Austria-Hungary a month later, hoping for major territorial gains. At the end of World War I Italy annexed Trieste along with the Istrian peninsula. Trieste lost most of its maritime trade because it was cut off by a political frontier from its natural hinterland of Central Europe. 2017 is the 99th anniversary of the landing of the Bersaglieri. There was a smallish crowd gathered in Piazza Unita to watch the sunset ceremony of the lowering of the flags of Italy and Trieste. I would say more people were there for the ceremony itself, and to see the Bersaglieri in dress uniform rather than to mark the event. The Bersaglieri (marksmen in English) are a corps of the Italian Army originally created on 18 June 1836 to serve in the Army of the Kingdom of Sardinia, later to become the Royal Italian Army. They have always been a high-mobility light infantry unit trained to high physical and marksmanship standards. The Bersaglieri wear a distinctive wide-brimmed hat as part of their dress uniform. The hat is decorated with long sweeping black capercaillie (wood grouse) feathers. The Bersaglieri do not march but are known for their fast high-stepping run. So they are always exciting to watch jogging quickly with the feathered caps catching the wind. This is a short video clip from an event in Quebec City. Trieste remained under Italy until 1943 when Trieste was taken by the Germans, who intended to maintain it as a southern outlet to the sea for the Third Reich. As WWII reached its final weeks, Marshal Tito’s Partisans closed in from the east; the Allies also raced to liberate the city. The German garrison surrendered to New Zealand troops on May 2, 1945, but the city was claimed for Yugoslavia. The peace treaty with Italy signed in Paris in 1947 created the Free Territory of Trieste, to be guaranteed by the United Nations Security Council. It was intended to be a strategic non-aligned zone between rival ideological blocks. It was divided temporarily into northern and southern zones: Zone A, which included the city and its northern hinterland, was put under U.S.–British military administration, and Zone B, to the south of the city, was put under Yugoslav administration. The Free Territory status was unworkable, however, and deadlock immediately followed the ratification of the treaty. 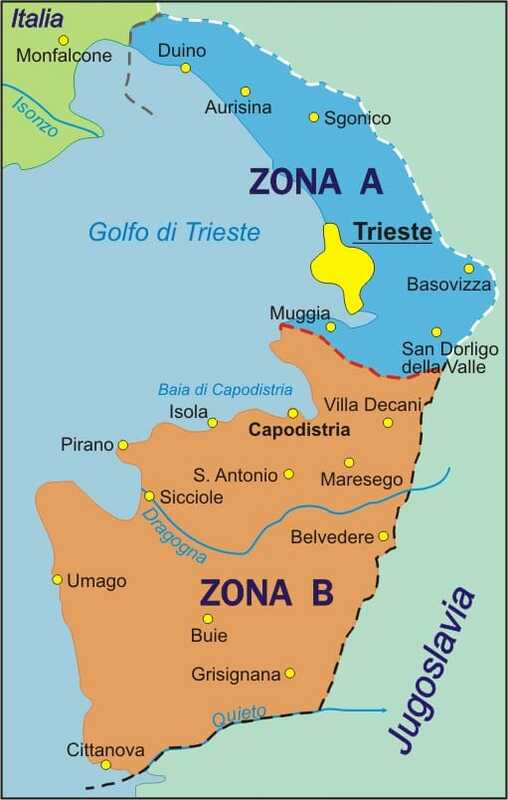 Negotiations in 1954 finally resulted in an agreement granting Zone B and part of Zone A to Yugoslavia and the city of Trieste and the remainder of Zone A to Italy. Over a short period of fifty years the citizens of Trieste went from being ruled by the Austrians, to becoming Italians, to then briefly being taken over by the Germans and the Partisans, to being “administered” by the Anglo-American troops, to returning to being part of Italy. 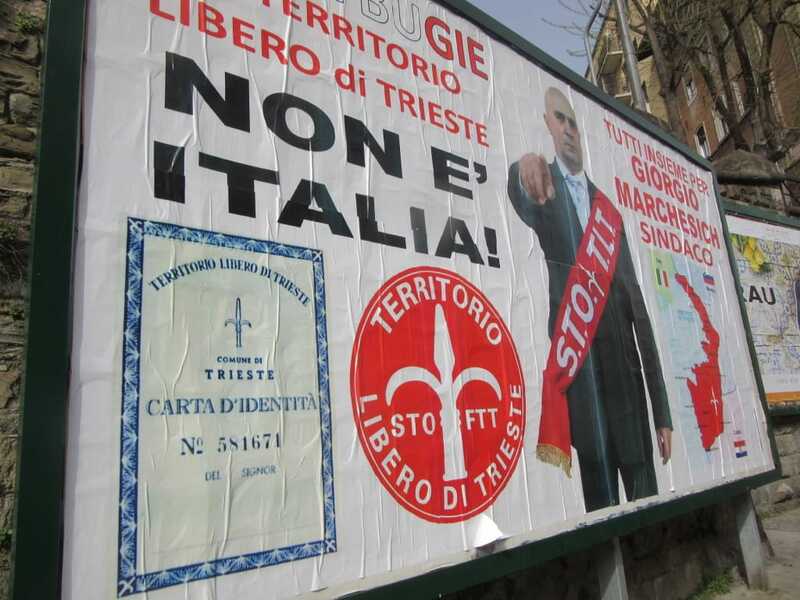 Little wonder that to this day there are Triestini who insist – “we were better off under the Austrians” and who still call Piazza Unita by its original name of Piazza Grande. Some Triestini have never ceased mourning the lost “Italian” towns of Capodistria, Pirano, Umago, Cittanova, Pola , Abbazia …..which are now divided between Slovenia and Croatia. 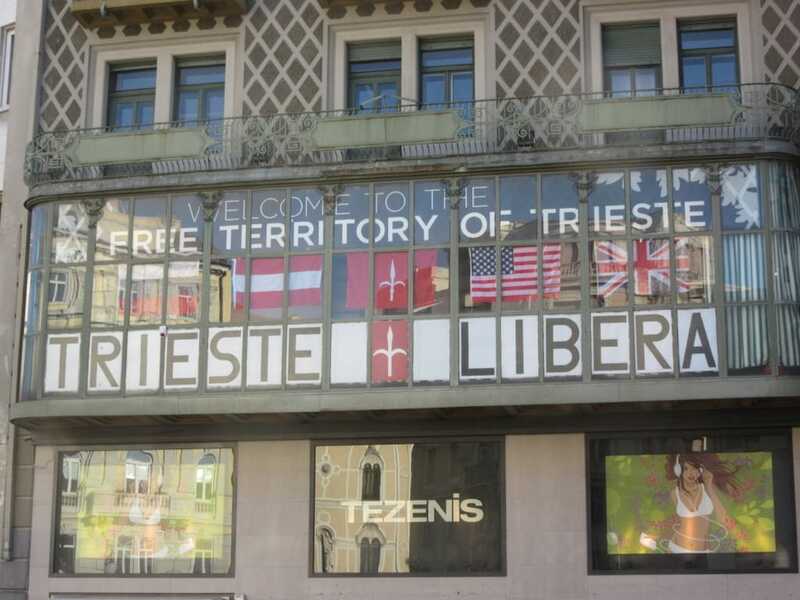 And there is a small but active political group that continues to lobby to return Trieste to its status of Free Territory. Still Triestini will always be Triestini and only in Trieste can you enjoy a capo in B!